Our Featured Pet of the Week is Dark Chocolate. 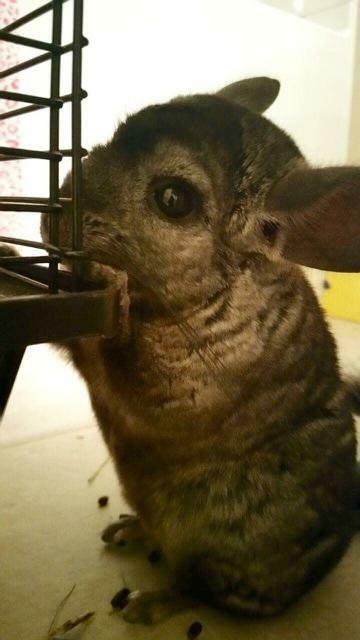 She is a special needs chinchilla who has been in rescue for more than six months. Her eye condition does not give her any trouble at all, but it should be monitored. Dark Chocolate, AKA DC, came to us earlier this year with a few other chinchillas. She didn’t seem to get along well with others, but has opened up quite a bit in her foster home now that she is healthier. She has been released for adoption by our certified exotic specialist and records can be provided. If you’re interested in giving this special needs chinchilla a chance, check out our chinchilla care guide, then apply online when you’re ready to add Dark Chocolate to your family. Harley and Quinn – Adopted! 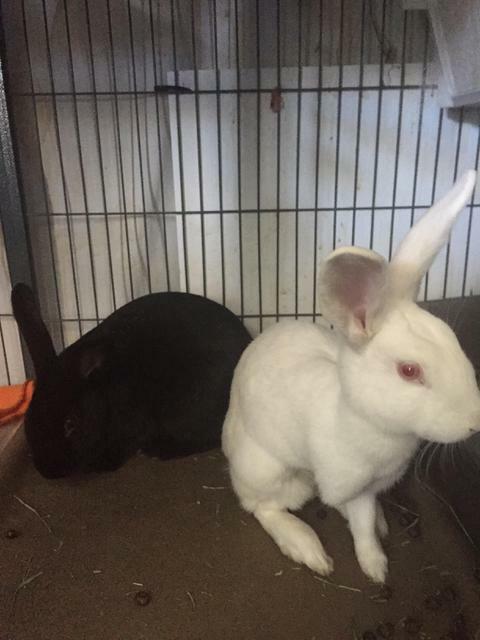 Our Featured Pets of the Week are Harley and Quinn, two rescue rabbits who have been with us for more than 3 years. These girls are tightly bonded and must stay together. 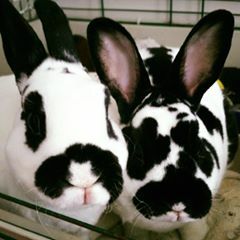 Harley and Quinn are bonded sisters who were born in rescue. Our youth volunteers call them the “cloud bunnies” because they are soft and fluffy. They have been waiting a very long time for a family of their own. If you’re interested in giving these sweet babies a chance, check out our rabbit care guide, then apply online when you’re ready to add Harley and Quinn to your family. Our Featured Pet of the Week is Henry, a gorgeous, 32-year-old Amazon. Henry has outlived his first two owners, and is looking for a place to spread his wings. He is curious and interactive, though he is still skittish to handling. Henry was surrendered along with two other birds when their last owner’s family could not care for them. 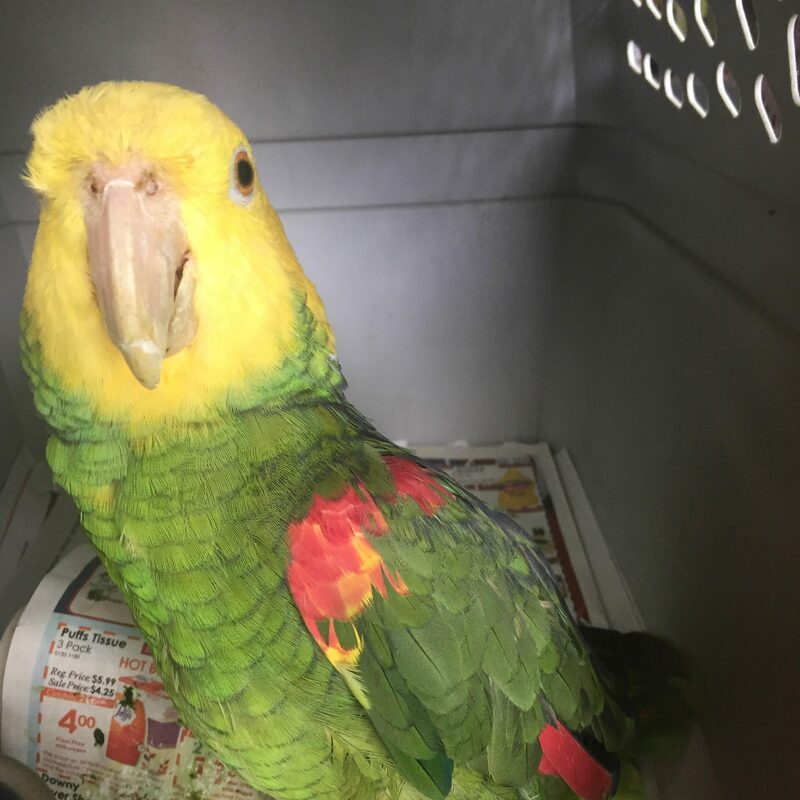 If you’re interested in giving this beautiful boy a forever home, check out the bird care guide, then apply online when you’re ready to add Henry to your family. Our Featured Pet of the Week is Colossus. He is a big, squishy rat boy ready for someone to love. Colossus has been neutered and is currently housed with a couple female rats from his intake group. Colossus is a volunteer favorite, but all of the rats in this group are friendly and playful and ready for a forever family! 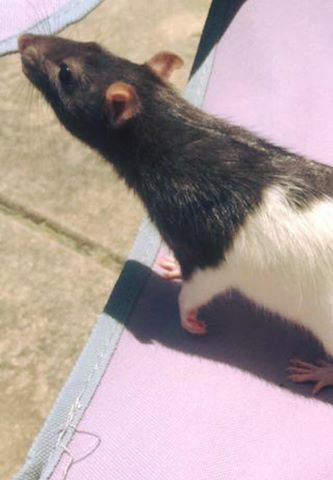 If you’re interested in adopting Colossus to bond with rats of your own, or along with his friends Rogue and Elektra, check out our rat care guide, then apply online when you’re ready to add Colossus to your family. Our featured Pet of the Week is Petty McPetterson. Petty is a rescue ferret currently in foster care. He is a sweet ferret but very active and social. He enjoys playtime with the other ferrets in his current foster home. 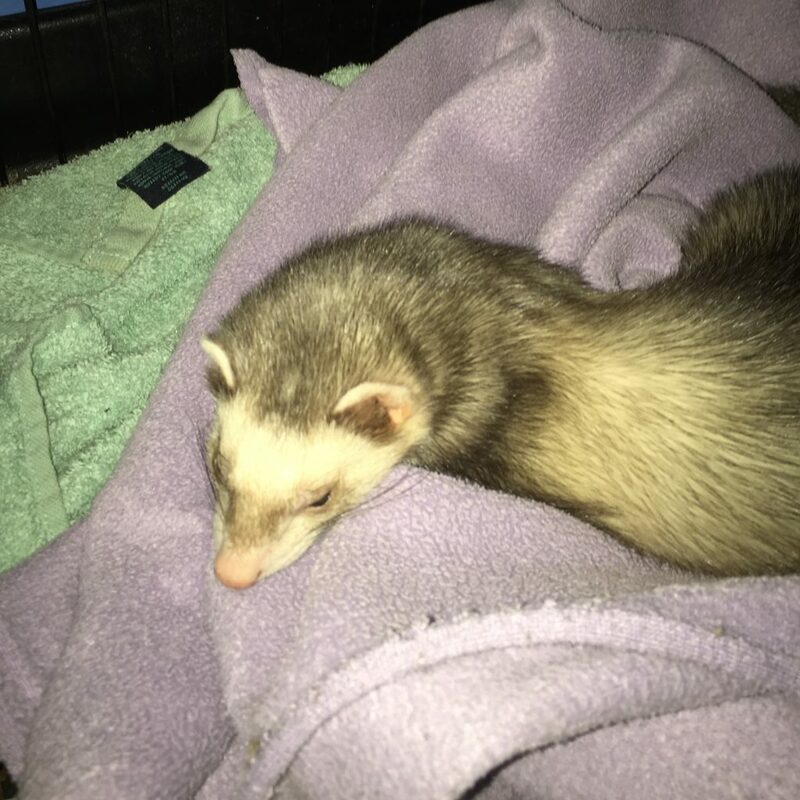 Petty would likely do best in a home that already has ferrets he could bond with, but would also benefit from a family who will give him plenty of time outside of his cage to run and play. Mr. Petterson is as lively and energetic as you would expect from a ferret, but he is also loving and snuggly. If you think you could give him the love and attention he needs, apply online when you’re ready to add this ferret to your family. Our featured Pet of the Week is Janis Hoplin. 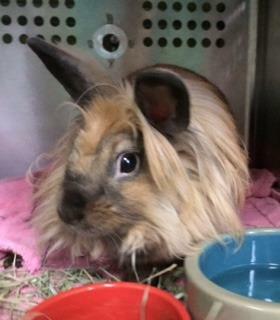 She is a Lionhead rabbit who was transferred to us from Indianapolis Animal Care and Control. Janis Hoplin is approximately two years old. She has been in the rescue for several months and would love to have a home of her very own. 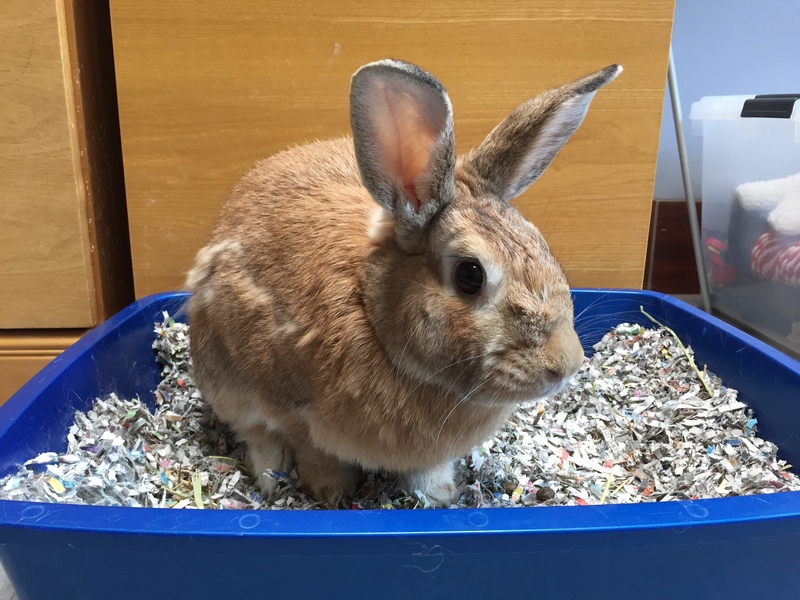 Check out the pet care guide for more tips on caring for rabbits, then apply online if you’re ready to add this bunny to your family. 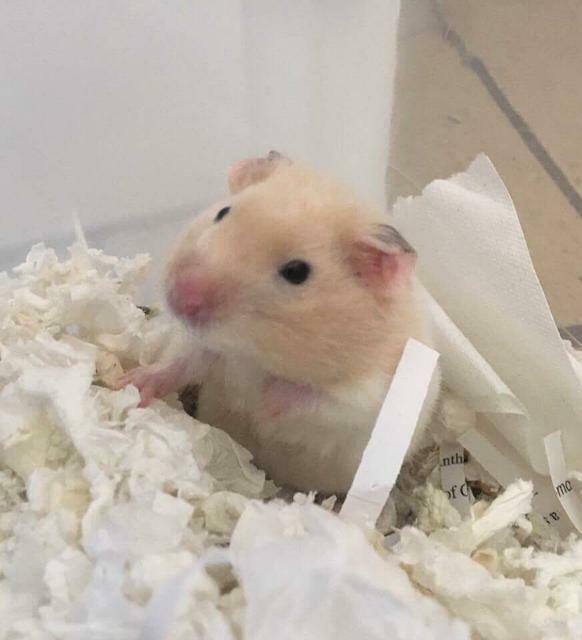 Our featured Pet of the Week is Noodle. 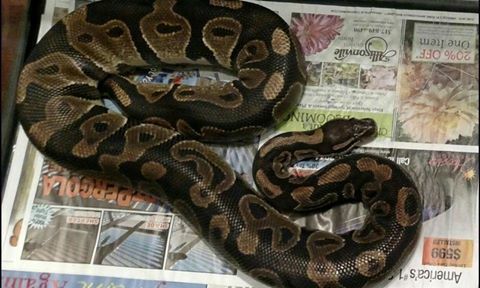 He is a friendly ball python currently in foster care. The gentle giant was left behind in an apartment and has been in rescue for more than six months. This beautiful snake is easy to handle and looking for a forever home. Check out the pet care guide for more tips on caring for snakes, then apply online if you’re ready to add Noodle to your family. Author Heather SokolPosted on July 10, 2016 February 26, 2017 Leave a comment on Noodle – Adopted! Author Heather SokolPosted on July 3, 2016 July 17, 2016 Leave a comment on Cashmere – Adopted!